Dr. Jack Pardo: Born, grown up and live in Santiago de Chile. Graduate with maximum distinction in Medical School of Universidad de Chile. Board certified in Chile as Ob & Gyn in 1993. Training in Oncologic Gynecology in FALP ( 1994-1995) . Staff member in public hospital ( Barros Luco Trudeau) as OncoGyn ( 1995-1999). Staff member of Clinica Las Condes (2000-2012). 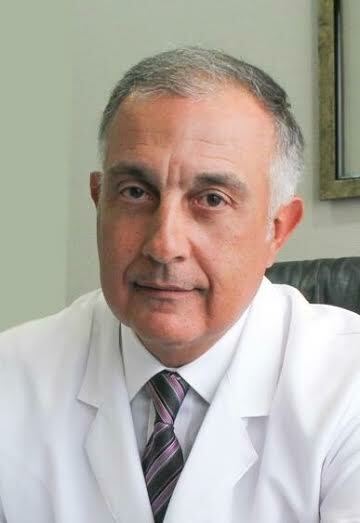 Co-Founder of Pelvic Floor, Cosmetic gyn and Urogynecological Unit of Clinica Las Condes ( 2013). Training Course in Laser Vaginal Rejuvenation at LVRI, Los Angeles CA, USA with David Matlock. Received “hand-on” training course of Parigee, Apogee, Miniarc and Elevate with Robert Moore and Carlos Sarsotti. Instructor of UG Surgery at Universidad de Chile Residence Program (2003-2007). Author-Co-Author: of more tan 50 papers in Chilean and international journals. Author of the first worldwide publication of Vaginal Rejuvenation (2006) , Laser labiaplasty (2006) and Labia Mayora Lifting Laser(2009). Accepted ( in press) paper of laser treatment of USI with non -ablative laser at the EJOG (2016). He has lectured: in Chile, Colombia, Perú, Uruguay, Mexico, Paraguay, Venezuela, Spain, Italy and USA. Co- Director and cientific board member of International meeting in Chile, Venezuela, Mexico and Italy. Performed teaching surgeries in Chile, Uruguay, Spain, Venezuela. Important media participation ( invited to more than one hundred TV shows in Chile). Co-Founding Member of the IUGA Special Interest Group in Cosmetic Gynecology Awards: 1-2-Two Times as Author and Co-Author the annual Award of Best Paper in the Chilean Journal of Obstetric &Gynecology. 3- Recognition for his contribution for the women health by the Universidad Autónoma de Mexico (2013) 4- Better Cosmetic Result for Labiaplasty and clitoral Hood reduction by ISCG Congress 2016. (Hollywood , Fla, USA). 5- Best Case Award by the ESAG Congress 2016 ( Rome, Italy) Member of : 1-Chilean Society of Obstetrics&Gynecology 2-Honorary Member of the Paraguay Society of Obstetrics&Gynecology 3-Laser Vaginal Rejuvenation Institute de Los Angeles CA, USA 4-Argentinian Society of Estetic Gynecology. 5-IUGA Private Practice: in Santiago de Chile at Clinica Sara Moncada , Lo Curro and BIOMER Medical Center. Jack Pardo is married with three children and besides gynecology he enjoys golf (11 hcp) , Reading specially History and Animal Behavior and he loves to sing.